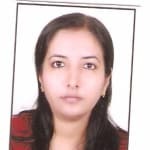 Dr. Shadma Wahab Khan is a renowned Neurosurgeon in Chinchwad, Pune. She has been a successful Neurosurgeon for the last 7 years. She has completed M.Ch - Neuro Surgery . You can consult Dr. Shadma Wahab Khan at pune superspeciality clinic in Chinchwad, Pune. Don’t wait in a queue, book an instant appointment online with Dr. Shadma Wahab Khan on Lybrate.com. Lybrate.com has a number of highly qualified Neurosurgeons in India. You will find Neurosurgeons with more than 25 years of experience on Lybrate.com. Find the best Neurosurgeons online in Pune. View the profile of medical specialists and their reviews from other patients to make an informed decision. What are the symptoms of brain tumor and how can we cure it as early as possible and also tell precaution measures. Symptoms are headache, vomiting, giddiness, paralysis of any body part including limbs, face, tongue etc. There are a lot of other symptoms and not all patients have all of them. Treatment depends on a no. Of factors like type, site, size of tumor etc. But consists of surgery followed by radio and chemotherapy. Either alone or in combinations. Sir, I wanted to know the symptoms of having a brain tumour? And also kindly the procedure to handle it or may be to get recover from it if its possible? This question is for my mom. Thankyou. I am 51 years old from Hyderabad. My daughter is having Brain Tumor. She is having Ecto Dermal Glioma with hydro supholos. My wife does not agree for operation. What I have to do? Go ahead with surgery after discussing the risks and prognosis with your doc. Surgery is essentially the first step in treatment, needed to releive brain pressure as well as to diagnose the type of tumor for further treatment. Leaving it as such may be life threatening.